Each of the two sons of Feroze and Indira Gandhi died tragically in his prime, years ago, and it is unbecoming to see their family successors squabble today. Everyone may need to be constantly reminded that this handful of persons are in fact ordinary citizens in our democratic polity, deserving India’s attention principally in such a capacity. What did, indeed, Feroze Gandhi, Jawaharlal Nehru, Sanjay Gandhi, Indira Gandhi and Rajiv Gandhi “live and die for”? It was not any one identifiable thing or any set of common things, that seems certain. Nehru did not achieve political power until well into middle age; his catastrophic misjudgment of communist ideology and intentions, especially Chinese communist ideology and intentions, contributed to an Indian defeat at war, and led soon thereafter to his health collapsing and his death. 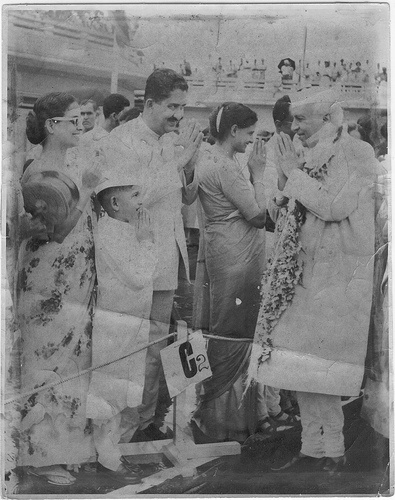 He and Indira somewhat nonchalantly made a visit to Ceylon even as the Chinese attack was commencing; a high point of my own childhood was saying namaste on October 13 1962 at Colombo airport when they arrived. I do not have reason to disagree with this opinion contained in the book that I and WE James created at the University of Hawaii twenty years ago. If anything, Sanjay’s political model may have spread itself across other Indian political parties in one way or another. What does strike me as odd in light of current political controversy is that several of Sanjay’s friends and colleagues are now part-and-parcel of the Sonia Congress – one must ask, were they such fair-weather friends that they never lent a hand or a shoulder to his young widow and her infant son especially against the cruelties Sanjay’s mother bestowed upon them? Did they offer help or guidance to Sanjay’s son, have they tried to guide him away from becoming the bigoted young politician he seems to wish to be today? Indira’s major faults included playing favourites among her bahus and her grandchildren with as much gusto as any mother-in-law portrayed on the tackiest TV-serial today. What were her good deeds? There was one, and it was an enormously large one, of paramount significance for the country and our subcontinent as a whole: her statesmanship before, during and to some extent after the war that created Bangladesh. My father has preserved a classic photograph over the years of Indira’s finest period as an international stateswoman, when she visited Paris and other foreign capitals including Washington in the autumn of 1971. She tried to prevent the Yahya Khan/Tikka Khan genocide in Bangladesh when many Bangladeshis came to be sacrificed at the altar of the Nixon-Kissinger visits to Mao and Zhou. She made a major diplomatic effort in world capitals to avert war with West Pakistan over its atrocities in East Pakistan. But war could not be averted, and within a few weeks, in December 1971, Bangladesh was born. “She had indeed fought that rarest of things in international law: the just war. Supported by the world’s strongest military, an evil enemy had made victims of his own people. Indira tried patiently on the international stage to avert war, but also chose her military generals well and took their professional judgment seriously as to when to fight if it was inevitable and how to win. Finally she was magnanimous (to a fault) towards the enemy ~ who was not some stranger to us but our own estranged brother and cousin. It seemed to be her and independent India’s finest hour. A fevered nation was thus ready to forgive and forget her catastrophic misdeeds until that time….” (From “Unhealthy Delhi” first published in The Statesman June 11 2007). What did Indira die for? I have said it was “blowback” from domestic and/or international politics, similar to what happened to Rajiv Gandhi and Benazir Bhutto in later years. “Indira Gandhi died in “blowback” from the unrest she and her younger son and others in their party had opportunistically fomented among Sikh fundamentalists and sectarians since the late 1970s. Rajiv Gandhi died in “blowback” from an erroneous imperialistic foreign policy that he, as Prime Minister, had been induced to make by jingoistic Indian diplomats, a move that got India’s military needlessly involved in the then-nascent Sri Lankan civil war. Benazir Bhutto similarly may be seen to have died in “blowback” from her own political activity as prime minister and opposition leader since the late 1980s, including her own encouragement of Muslim fundamentalist forces. Certainly in all three cases, as in all assassinations, there were lapses of security too and imprudent political judgments made that contributed to the tragic outcomes.” From “An Indian Reply to President Zardari”. And then there was Rajiv. He did not know me except in his last eight months. It has now emerged that Dr Manmohan Singh’s first bypass operation was in 1990-1991, coinciding precisely with the time I gave Rajiv the results of the perestroika-for-India project that I had led at the University of Hawaii since 1986, an encounter that sparked the 1991 economic reform as has been told elsewhere. Dr Singh was simply not in that loop, nor has he himself ever claimed to have been in it — regardless of what innumerable flatterers, sycophants and other straightforwardly mendacious characters in Delhi’s high power circles have been making out over the years since. Facts are rather stubborn things. As a 35-year old newcomer to Delhi and a complete layman on security issues, I did what little I knew how to try to reduce the vulnerability that I felt Rajiv faced from unknown lists of assassins. The treatment of Indira or Rajiv or Sanjay or their family successors as royalty of any kind whatsoever in India was, is, and remains absurd, reflecting stunted growth of Indian democracy. I remember well the obsequiousness I witnessed on the part of old men in the presence of Rajiv Gandhi. Tribal and mansabdari political cultures still dominate Northern and Western regions of the Indian subcontinent (descending from the Sikhs, Muslims, Rajputs, Mahrattas etc). Nehru in his younger days was an exemplary democrat, and he had an outstanding democratically-minded young friend in Sheikh Mohammad Abdullah. But Nehru and Abdullah as Westernized political liberals were exceptions in the autocratic/monarchical political cultures of north India (and Pakistan) which continue today and stunt the growth of any democratic mindset. What we may urgently need is some French Liberté, égalité, fraternité ! to create a simple ordinary citoyen universally in the country and the subcontinent as a whole! May we please import a Marquis de Lafayette? Bengal and parts of Dravidian India have long lost fondness for monarchy and autocracy — Western political liberalism began to reach Kolkata almost two centuries ago after all (see e.g. Tapan Raychaudhuri’s fine study Europe Reconsidered). Both Nepal and Pakistan have been undergoing radical transformation towards democracy in recent months, as Bengali Pakistanis had done 40 years earlier under Sheikh Mujib. I said last year and say again that there may be a dangerous intellectual vacuum around the throne of Delhi. Zhang Qingli, Tibet’s current Communist Party boss, reportedly said last year, “The Communist Party is like the parent (father and mother) of the Tibetans. The Party is the real boddhisatva of the Tibetans.” Before communism, China’s people followed three non-theistic religious cultures, Buddhism, Confucianism and Taoism, choosing whichever aspects of each they wished to see in their daily lives. Animosity towards the theism of Muslims and Christians predates the 1911 revolution. Count Witte, Russia’s top diplomatist in Czarist times, reported the wild contempt towards Islam and wholly unprovoked insult of the Emir of Bokhara by Li Hung Chang, Imperial China’s eminent Ambassador to Moscow, normally the epitome of civility and wisdom. In 1900 the slogan of the Boxer Revolts was “Protect the country, destroy the foreigner” and catholic churches and European settlers and priests were specifically targeted. The Communists have not discriminated in repression of religious belief and practice ~ monasteries, mosques, churches have all experienced desecration; monks, ulema, clergymen all expected to subserve the Party and the State. For Chinese officials to speak of “life and death” struggle against the Dalai Lama sitting in Dharamsala is astounding; if they are serious, it signals a deep long-term insecurity felt in Beijing. How can enormous, wealthy, strong China feel any existential threat at all from unarmed poor Tibetans riding on ponies? Is an Israeli tank-commander intimidated by stone-throwing Palestinian boys? How is it China (even a China where the Party assumes it always knows best), is psychologically defensive and unsure of itself at every turn? The Chinese in their long history have not been a violent martial people ~ disorganized and apolitical traders and agriculturists and highly civilised artisans and scholars more than fierce warriors fighting from horseback. Like Hindus, they were far more numerous than their more aggressive warlike invading rulers. Before the 20th Century, China was dominated by Manchu Tartars and Mongol Tartars from the Northeast and Northwest ~ the Manchus forcing humiliation upon Chinese men by compelling shaved heads with pigtails. Similar Tartar hordes ruled Russia for centuries and Stalin himself, according to his biographer, might have felt Russia buffered Europe from the Tartars. Chinese nationalism arose only in the 20th Century, first under the Christian influence of Sun Yatsen and his brother-in-law Chiang Kaishek, later under the atheism of Mao Zedong and his admiring friends, most recently Deng Xiaoping and successors. “Socialism with Chinese characteristics” is the slogan of the present Communist Party but a more realistic slogan of what Mao and friends came to represent in their last decades may be “Chinese nationalism with socialist characteristics”. Taiwan and to lesser extent Singapore and Hong Kong represent “Chinese nationalism with capitalist characteristics”. Western observers, keen always to know the safety of their Chinese investments, have focused on China’s economics, whether the regime is capitalist or socialist and to what extent ~ Indians and other Asians may be keener to identify, and indeed help the Chinese themselves to identify better, the evolving nature of Chinese nationalism and the healthy or unhealthy courses this may now take. Just as Czarist and Soviet Russia attempted Russification in Finland, the Baltics, Poland, Ukraine etc., Imperial and Maoist China attempted “Sinification” in Manchuria and Inner Mongolia as well as Tibet and Xinjiang (Sinkiang, East Turkestan). Russification succeeded partially but backfired in general. Similarly, Sinification succeeded naturally in Manchuria and without much difficulty in Inner Mongolia. But it has backfired and backfired very badly in Tibet and Xinjiang, and may be expected to do so always. In India, our soft state and indolent corrupt apparatus of political parties constitute nothing like the organized aggressive war-machine that China has tried to make of its state apparatus, and we have much more freedom of all sorts. India does not prohibit or control peasant farmers or agricultural labourers from migrating to or visiting large metropolitan cities; villagers are as free as anyone else to clog up all city life in India with the occasional political rally ~ in fact India probably may not even know how to ban, suppress or repress most of the things Communist China does. Hindu traditions were such that as long as you did not preach sedition against the king, you could believe anything ~ including saying, like the Carvaka, that hedonism and materialism were good, spiritualism was bunkum and the priestly class were a bunch of crooks and idiots. Muslim and British rulers in India were not too different ~ yes the Muslims did convert millions by offering the old choice of death or conversion to vanquished people, and there were evil rulers among them but also great and tolerant ones like Zainulabidin of Kashmir and Akbar who followed his example. India’s basic political ethos has remained that unless you preach sedition, you can basically say or believe anything (no matter how irrational) and also pretty much do whatever you please without being bothered too much by government officials. Pakistan’s attempts to impose Urdu on Bengali-speakers led to civil war and secession; North India’s attempts to impose Hindi on the South led to some language riots and then the three-language formula ~ Hindi spreading across India through Bollywood movies instead. China proudly says it is not as if there are no declared non-Communists living freely in Beijing, Shanghai etc, pointing out distinguished individual academics and other professionals including government ministers who are liberals, social democrats or even Kuomintang Nationalists. There are tiny state-approved non-Communist political parties in China, some of whose members even may be in positions of influence. It is just that such (token) parties must accept the monopoly and dictatorship of the Communists and are not entitled to take state power. The only religion you are freely allowed to indulge in is the ideology of the State, as that comes to be defined or mis-defined at any time by the Communist Party’s rather sclerotic leadership processes. During China’s Civil War, the Communists apparently had promised Tibet and Xinjiang a federation of republics ~ Mao later reneged on this and introduced his notion of “autonomous” regions, provinces and districts. The current crisis in Tibet reveals that the notion of autonomy has been a complete farce. Instead of condemning the Dalai Lama and repressing his followers, a modern self-confident China can so easily resolve matters by allowing a Dalai Lama political party to function freely and responsibly, first perhaps just for Lhasa’s municipal elections and gradually in all of Tibet. Such a party and the Tibet Communist Party would be adequate for a two-party system to arise. The Dalai Lama and other Tibetan exiles also have a natural right to be issued Chinese passports enabling them to return to Tibet~ and their right to return is surely as strong as that of any Han or Hui who have been induced to migrate to Tibet from Mainland China. Such could be the very simple model of genuine autonomy for Tibet and Xinjiang whose native people clearly do not wish to be assimilated in the same way as Inner Mongolia and Manchuria. India’s federal examples, including the three-language formula, may be helpful. Once Mainland China successfully allows genuine autonomy and free societies to arise in Tibet and Xinjiang, the road to reconciliation with Taiwan would also have been opened. For most family households in India as elsewhere, the time for weekly or monthly budgeting and accounting is a time of sobriety ~ when reality must be faced about which goals and desires can be achieved and which cannot, about how incomings and outgoings of family resources are going to be matched. The same holds for corporations when their managements must face their boards, shareholders or workers, though individual stakeholders in large corporations may be so ignorant of the facts or so small and insignificant in size that top management can get away with a lot of bluff. When it comes to entities the size of countries, the scope for feeding illusions to the general public becomes enormously large; hence there is need for scientific honesty in government accounting and finance, and when that is lacking as it often is in any country, there is need for intense public awareness and vigorous criticism of what the government of the day may be up to with the public purse. Mao Zedong once said “Thrift should be the guiding principle of our government expenditure”. Those who govern fiscal and monetary processes, whether autocratically or democratically, have a general duty to be frugal or economic in using resources that have been forcibly raised from the public and which could have been spent privately in other welfare-enhancing directions. “One must not take from the real needs of the people for the imaginary needs of the state” said Montesquieu. National Governments “take” from the people not only via direct taxation (e.g. of income) and indirect taxation (e.g. of expenditure) but also via inflation ~ invisibly reducing the purchasing power or value of paper money and other paper assets by exploiting the government’s monopoly over currency-printing (a process that economists traditionally termed “seignorage” from the debasing of metal coins that kings historically indulged in to pay for wars). In providing public goods and services, if a government does what it need not do it may end up failing to do what it must and which only it can do. “That part of the public expenditure, which is devoted to the maintenance of civil and military establishments (i.e., all except the interest of the national debt), affords, in many of its details, ample scope for retrenchment. But while much of the revenue is wasted under the mere pretence of public service, so much of the most important business of government is left undone, that whatever can be rescued from useless expenditure is urgently required for useful” (JS Mill). Such an idea that “whatever can be rescued from useless expenditure is urgently required for useful” was used in Gordon Brown’s 2004 rhetoric as Britain’s Finance Minister when, for example, he said 40,000 jobs would be reduced in the UK civil services to release resources to enhance “frontline” public services like schools and hospitals. (1) Is public expenditure allocated efficiently in given circumstances, in a manner that enhances the public interest to the greatest degree possible? If not, how may it be made to do so? (2) Can income from government operations be enhanced in given circumstances? What taxation should be imposed, raised, lowered or abolished, why so, and at what least cost to the population? (3) If government expenditure exceeds income from taxation and operations, how should the borrowing be financed at least cost? Is the government’s existing portfolio of assets and liabilities of different liquidity and term-structure efficient, or can it be improved? Unfortunately, we do none of this in India and have not done so for decades. Indeed New Delhi’s establishment economists and the media have not ever even been thinking on such practical lines. Instead, each bureaucratic department tries to maintain or enlarge its own size and claims on public funds every year. What New Delhi does, in a nutshell, is to allow every Ministry (especially the military) to add a 10-20% inflation-premium to its previous year’s expenditures and assert a new claim during the Budget season. (The most accurate measure of inflation in India may be that involved in growth of nominal expenditure on Government’s bureaucracy). Organised business, organised labour, exporters, importers, farmers, women, and every sundry political lobbyist then assert their claims to subsidies and concessions as well ~ and some gargantuan number comes to be added up. To that number must be added the vast annual expenditure on interest payments by Government on the public debt accumulated from previous years and decades ~ payments which keep afloat the entire banking system in India because our nationalized banks hold such debt-instruments as their main assets where customer-deposits are their main liabilities. A crucial question in relation to the convertibility of the rupee has to do with international valuation of that vast public debt (hence valuation of the asset side of our banking system) in the event the rupee became freely exchangeable into gold and foreign exchange for the general public, not merely city-based super-elites and NRIs. Once interest payments have been added to other government expenditures, some humongous number comes to be reached. That number, and how it breaks down between interest expenditures, military expenditures and other expenditures, is among the key variables to look out for in Mr Chidambaram’s forthcoming Budget-Speech. From it will be subtracted the total taxation and non-tax revenues of the Government ~ each after it has been subjected to its own political lobbying process by different interest groups who have managed to obtain access to the Finance Minister. The residual (government expenditure minus government income) is the “Gross Fiscal Deficit” which is how much the Government of India says it plans to newly borrow from the (mostly captive) domestic financial markets. That residual in turn will add itself to next year’s accumulating public debt on which interest payments will have to be then made. The Finance Minister and his spokesmen typically quote the Gross Fiscal Deficit as some percentage of GDP figures; a better ratio to look for may be the size of Government interest payments per head as a percentage of tax revenues per head. The Union Finance Ministry no longer appears to exercise effective managerial control over the budgets and accounts of the innumerable publicly funded institutions, entities and projects in the country, nor even remembers how to do so. Everyone knows that the eventual aggregate result of public financial processes will be more deficit-finance paid for by silent and unlimited money-printing. Thus, for example, we see enormous building and construction plans being requested and granted for public institutions and agencies to indulge in ~ if the private builders and developers involved in such public contracts throw in an urban apartment or two for the heads of such institutions, who are powerful enough to be making the spending decisions with their friends, what does it really matter? Deficit-finance, arising from an abysmal state of government and public sector accounting, makes government corruption quite simple and straightforward if one thinks about it. It is sad to say that the principle guiding our public finances may have become theft, not thrift, because political and administrative decision-makers throughout the system, instead of being sober, remain drunk when it comes to spending India’s public resources. How American foreign policy did a U-turn about Communist China’s India aggression. The Government of India should publish its official history of the 1962 war. THE 1972-74 conversations between Richard Nixon and Henry Kissinger on one hand and Mao Zedong, Zhou Enlai and Deng Xiaoping on the other, especially about India, Pakistan and Bangladesh, have been public for a few years now. They make disturbing reading for Indians and Bangladeshis, and for Pakistanis too who may be concerned about the political health of their country. Yahya Khan, Pakistan’s debauched military dictator, made the Nixon-Mao meeting possible and received much praise from Zhou and support from Nixon and Kissinger. Pakistan’s official assessment of Yahya following the 1971 military defeat and secession of Bangladesh was far more candid and truthful, giving the lie to the praise bestowed upon him by Nixon and Zhou in their conversation. Nixon and Kissinger were decidedly second-rate intellects in political power who believed themselves first-rate ~ a dangerous circumstance. Their policy caused Chiang Kaishek’s Republic of China to be expelled from the UN, its veto-wielding seat taken by Mao’s People’s Republic. The Government of India, under influence of communist sympathisers like Krishna Menon, KM Pannikar, KPS Menon et al, had been pleading the same case at the UN since 1949/1950, rebuffed each time by American veto. Now Nixon and Kissinger yielded to the idea to the delight of Mao-Zhou, and ganged up with Pakistan’s military against democratic India and the new Bangladesh. Nixon went to Beijing at a time the catastrophic American involvement in Vietnam had reached a peak ~ something that itself was an outcome of the Dulles-Nixon doctrine of a “domino effect” in South East Asia. The Americans failed to comprehend Vietnamese nationalism against France or recognise how that had been historically directed at imperial China. Nixon’s carpet-bombing of Cambodia in needless extension of the Vietnam conflict was to cause the rise to power of Pol Pot and his vicious Khmer Rouge (to remove whom Vietnam attacked, causing China to attack Vietnam in 1979). Nixon was in Beijing in February 1972 ostensibly to seek Chinese cooperation in ending the Vietnam War, as well as opening an Eastern Front in the Cold War against the USSR. Nixon fancied himself a Metternich-like statesman whose wisdom and brilliance would redesign the international order for a century. What was plain to unsentimental observers was that his underlying purpose was greedy and hardly statesmanlike, namely, winning re-election in November 1972 by outflanking domestic left-wing criticism using photos of having been toasted by Mao himself. That Nixon was no Machiavelli, Metternich or Bismarck but more likely just delusional and paranoid came to be revealed in his subsequent political debacle over Watergate. The US attitude towards China’s 1959-1962 aggression against India changed drastically because of Nixon’s Beijing visit. Tibet’s people and culture had not been attacked and brutalised by Chiang Kaishek’s Nationalist Army nor by India’s soldiers ~ the Mao-Zhou Communist war machine, fresh from their Korean adventures, did that. There would have been no border conflict between China and India today in 2008 if Communist China had not first invaded and occupied Tibet. “ZHOU: …. Actually the five principles (of peaceful coexistence) were put forward by us, and Nehru agreed. But later on he didn’t implement them. In my previous discussions with Dr Kissinger, I mentioned a book by Neville Maxwell about the Indian war against us, which proves this. NIXON: I read the book. KISSINGER: I gave it to the President. ZHOU: Yes, but you spoke the truth. It wasn’t faux pas. Actually that event was instigated by Khrushchev. He encouraged them. In looking at 1962, the events actually began in 1959. Why did he go to Camp David? In June of that year, before he went to Camp David, he unilaterally tore up the nuclear agreements between China and the Soviet Union. And after that there were clashes between Chinese and Indian troops in the western part of Sinkiang, the Aksai Chin area. In that part of Sinkiang province there is a high plateau. 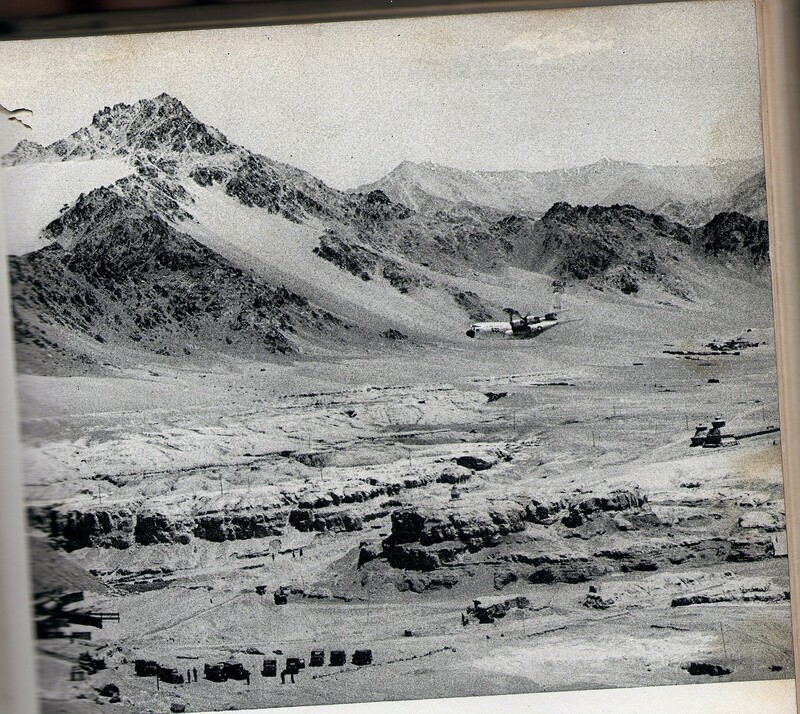 The Indian-occupied territory was at the foot of the Karakorums, and the disputed territory was on the slope in between. KISSINGER: It’s what they call Ladakh. NIXON: They attacked up the mountains. ZHOU: We fought them and beat them back, with many wounded. But the TASS Agency said that China had committed the aggression against India…..They just don’t want to listen to reason. Anyway, the TASS Agency account had the effect of encouraging India. And also Maxwell mentioned in the book that in 1962 the Indian Government believed what the Russians told them that we, China, would not retaliate against them. Of course we won’t send our troops outside our borders to fight against other people. We didn’t even try to expel Indian troops from the area south of the McMahon Line, which China doesn’t recognize, by force. But if (Indian) troops come up north of the McMahon Line, and come even further into Chinese territory, how is it possible for us to refrain from retaliating? We sent three open telegrams to Nehru asking him to make a public reply, but he refused. He was so discourteous; he wouldn’t even do us the courtesy of replying, so we had no choice but to drive him out. You know all the other events in the book, so I won’t describe them, but India was encouraged by the Soviet Union to attack. NIXON: I would like to ask the Prime Minister a question with regard to Bangladesh recognition. We have delayed recognition though Britain and other countries have done so. ZHOU: France has also recognised Bangladesh. “ZHOU: …. we truly wish to see (India) truly withdraw their troops in East Pakistan, now called Bangladesh. We wish to see them truly do this and not just with words. Of course they can only do that superficially, because if they get some Bengali forces to remain and join Mujibar Rahman, there would be no way to be sure because the Bengalis all look the same. But that would trouble to the future of India and Mrs Gandhi herself. The Indians said they have no territorial ambitions, but the development of events is that they have remained in their place and refused to withdraw. Once again we can only cite the events of Indian aggression in the 1962 war. At that time our troops pressed to the foothills quite close to Tezpur in Assam, and when they reached that place, Chairman Mao ordered that all troops should turn back. We turned back to the Indians ~ this is in Maxwell’s book ~ and we withdrew all troops back north of the so-called McMahon Line because one must show one can be trusted and must not wait for others to act…. India should withdraw its troops from the areas it is occupying in West Pakistan, and Pakistan should also withdraw from the lesser areas it occupies in India. Bhutto agrees. These two things, at least, the Indian side should abide by. If the US recognises Bangladesh after this situation is brought about, then we believe this would raise the prestige of the US in the United Nations. After all, what you want is to bring about the withdrawal of all troops from Bangladesh and West Pakistan. Also, you will be able to encourage Mr Bhutto and give him some assistance. That is what they need. You said your actions should be parallel to ours, and we don’t mind that. We said this both to Yahya, the former President, and to the present President. Both of us owe something to Yahya, although he didn’t show much statesmanship in leading his country, for (bridging) the link between our two countries. NIXON: He is a bridge. ZHOU: We should not forget and we cannot forget, especially that Dr Kissinger was able through him to come secretly for talks here. And when a man makes a contribution to the world, we should remember him. KISSINGER: Actually the President sent a message to Bhutto that he should treat Yahya well in retirement and we would not look favourably on any retribution. It was a personal message from Pakistan. ZHOU: …. At the time of the ceasefire they (the Pakistanis) still had 80,000 troops in East Pakistan. It was not a situation in which they couldn’t keep fighting….. Yahya should have concentrated his troops to win a victory, and once the Indians had suffered a defeat they would have stopped because West Bengal was not very secure either. So at that time even our Vice Foreign Minister still believed they could win the war. Bhutto too…. .
KISSINGER: (Reading from a cable) Mr President, you were speaking of military shipments. We have information that the Soviet Union has shipped since November 150 tanks from Poland and 100 armored personnel carriers from Czechoslovakia. They were shipped in two ships each month in November and December. In January a third ship was to bring military equipment to India. NIXON: The problem is to find some way that West Pakistan can find some military equipment and assistance. On our side, what we will do is to supply substantial amounts of economic assistance to West Pakistan. That would enable West Pakistan to ~ we would think in the interest of its defence ~ to acquire arms from other sources. As a matter of fact, that is the tragedy of our policy in India. We supplied almost 10 billion dollars in assistance to India in the last 20 years ~ very little was military assistance, it was economic ~ and that relieved India so it could purchase very substantial amounts of arms from the Soviet Union, and also manufacture arms. That was not our intent, but that’s what happened. With regard to our aid to India on this point ~ economic assistance ~ we are going to move in a very measured way. I am resisting considerable pressure from the public and the press to rush in and resume economic assistance at former levels. We are going to wait and see what India does with regard to the border problem and our relations generally. NIXON: When the Prime Minister referred to the problem India has with Bangladesh, as I look at India’s brief history, it has had enough trouble trying to digest West Bengal. If now it tries to digest East Bengal it may cause indigestion which could be massive. ZHOU: That’s bound to be so. It is also a great pity that the daughter (Madame Gandhi) has also taken as her legacy the philosophy of her father embodied in the book Discovery of India (in English). Have you read it? KISSINGER: He was thinking of a great India empire? ZHOU: Yes, he was thinking of a great Indian empire ~ Malaysia, Ceylon, etc. He would probably also include our Tibet. When he was writing that book in a British prison, but one reserved for gentlemen in Darjeeling. Nehru told me himself that the prison was in Sikkim, facing the Himalayan mountains. At the time I hadn’t read the book, but my colleague Chen Yi had, and called it to my attention. He said it was precisely the spirit of India which was embodied in the book. Later on when I read it I had the same thought. Every Bangladeshi knows the causal role Z A Bhutto had in Pakistan’s civil war yet it is upon the word of such a man that Nixon’s recognition of their nation seemed based. The famous “Archer Blood telegram” by the American Consul-General in Dhaka reporting the genocidal Yahya-Tikka assault on East Pakistan starting March 25 1971 meant nothing to Nixon and Kissinger. Benazir retained her charm in Washington’s power circles because she was Bhutto’s daughter. Similarly, as recently as the 1999 Kargil conflict, Bill Clinton flatteringly referred to China for advice on how to deal with India and Pakistan. Perversely enough, many in New Delhi, Kolkata etc express so much confused love for both China and the United States that they have accepted as their own the biased baseless opinions about India expressed by Nixon, Kissinger and the Communist Chinese. They would do well to read instead the Defence Ministry’s excellently researched historical account of the 1962 war, which the Government of India should not only publish properly at once but have translated into Mandarin as well. Dr Manmohan Singh has as recently as 29 November 2007 expressed the opinion: “The type of leadership that China has produced since the days of Deng, I think, is the greatest asset that China has”. Dr Singh might have said, but did not, that China’s greatest asset has been in fact the preservation of Confucian values despite decades of communist tyranny and destruction. With such deep misapprehension about post-1949 China on the part of India’s present Head of Government, it may be unlikely that New Delhi or Kolkata acquires a realistic view of our neighbour or of a healthy China-India relationship in the 21st Century.